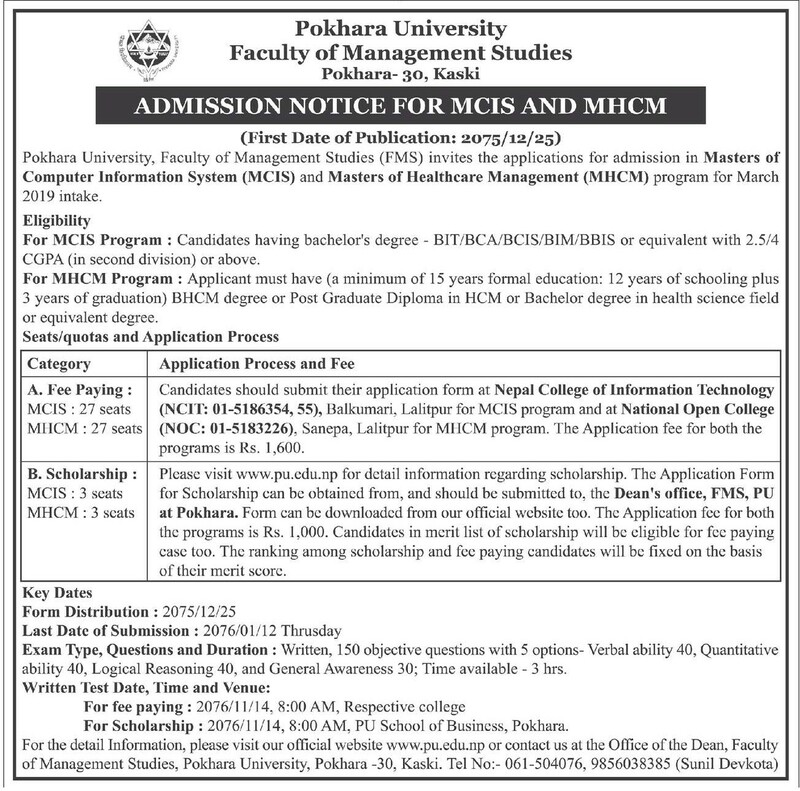 Pokhara University, Faculty of Management Studies (FMS) invites the applications in Masters of Computer Information System (MCIS) and Masters of Healthcare Management (MHCM) programs for March 2019 intake. Candidates having bachelor's degree - BIT/BCA/BCIS/BIM/BBIS or equivalent with 2.5/4 CGPA (in second division) or above. Applicant must have (a minimum of 15 years formal education: 12 years of schooling plus 3 years of graduation) BHCM or Post Graduate Diploma in HCM or Bachelor degree in health science field or equivalent degree.